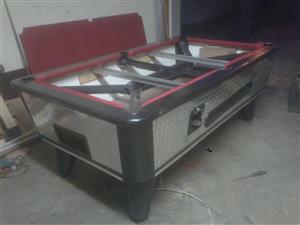 Coin operated pool table for sale. 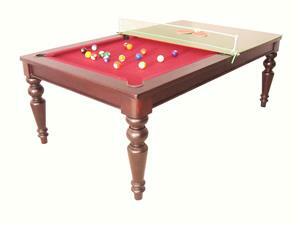 Union Billiards slate top pool table with cues, cue rack, balls, brush and triangle. 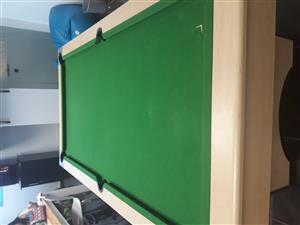 Top quality table in excellent condition. 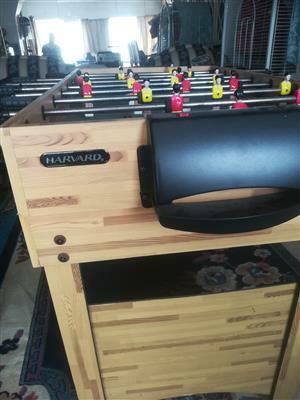 Not coin operated. 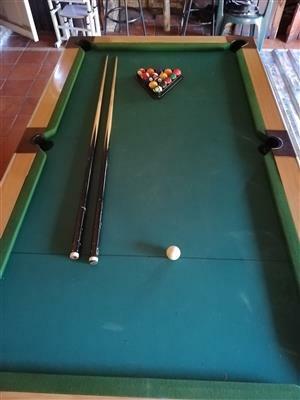 Italian slate base. 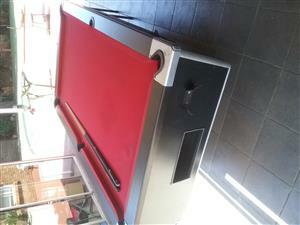 Canopy, snooker and pool balls. 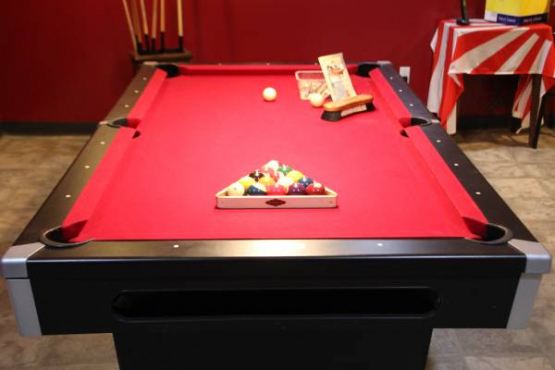 2 rests,4 cues, 2 triangles chalk, spare tips and brush. 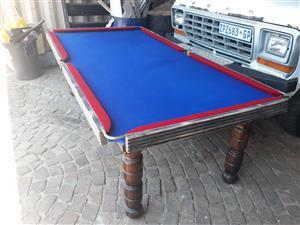 Sleeper wood bar and pool table. 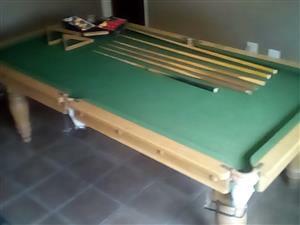 Sleeper wood bar and pool table/ dining room table. 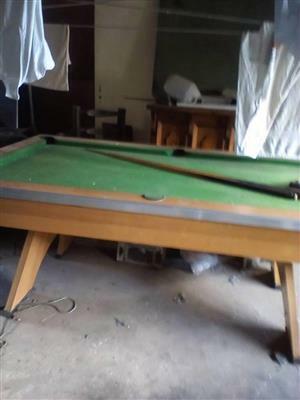 Sleeper wood bar complete with 4 chairs. 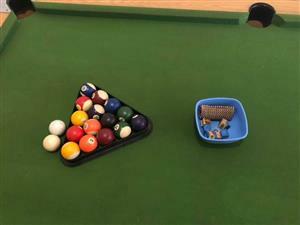 Pool table with all accessories incuded. 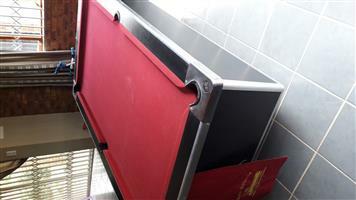 Contact me on 0813108221. 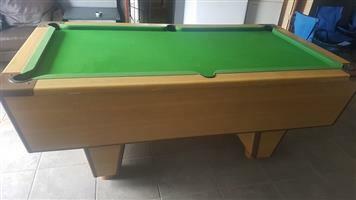 Perfectly looked after, marble, green felt excellent condition. 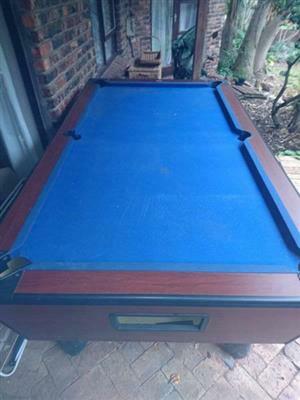 4 Sticks included. 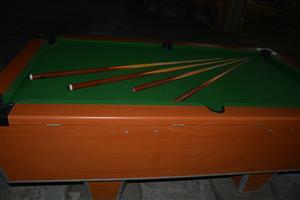 Wooden Pool Table (Maple) with green cloth for sale. 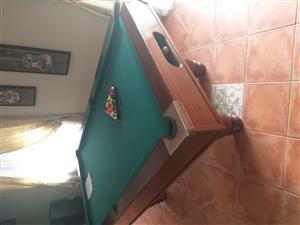 Refurbished pool table. 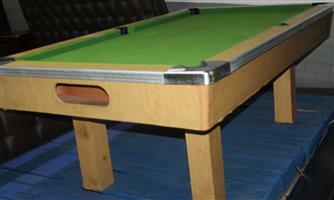 New felt and leather pockets(to be attached) Solid wood frame and legs. 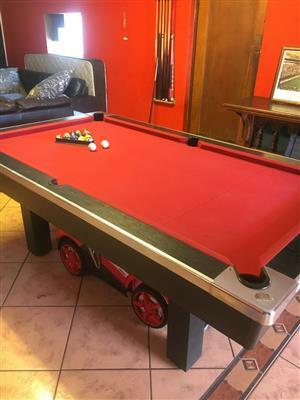 Get an email notification for any Results for "pool table" For Sale in Leisure in South Africa when they become available.